AS IT STANDS: Lol! 'Stable Genius' Is making America Great Again...Wink! Wink! Lol! 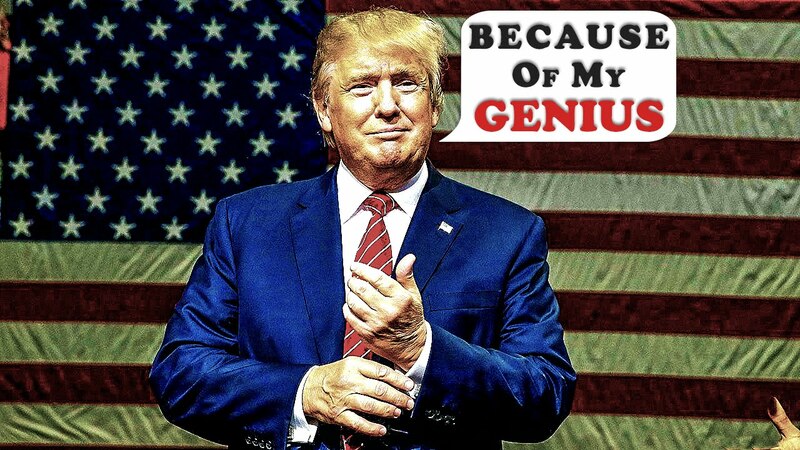 'Stable Genius' Is making America Great Again...Wink! Wink! the political fallout from Michael Wolff's searing book on Donald Trump - "Fire and Fury: Inside the Trump White House," has unhinged Donny. His maniacal tweets in response to the tell-all book, have been fast and furious, only furthering evidence that accusations against his mental state were accurate. But my favorite Donny rebuttal was the one where he claimed to be a "stable genius." I'm going to frame and hang that gem along with some of his other classic claims on Twitter, in my Hall of Shame. Not just a genius, but a stable one. How telling is that? It's just another glimpse into Trump's alternate universe where he's loved by all. The dictionary defines genius as a noun meaning "exceptional intellectual or creative power or other natural ability. In Donny's case we can confidently state that he is not an intellectual (the man barely reads and has the focus of a bumble bee in heat). That leaves creative power, and other natural ability. If you consider P.T. Barnum a really creative guy, then there's a case for Trump's creative ability. The art of the con takes a lot of imagination and the ability to lie while looking you in the eye. Which brings us to his natural ability. Donny has proven to be a first-class liar. He stands in a class all of his own. He's told an average of five lies a day since he raised his tiny hand and was sworn into office. Our Liar-In-Chief is under fire from numerous directions, not least among them is the charge of Obstructing Justice. As he continues to melt down on Twitter, his argument for being a "stable" person (let alone a genius) withers on the vine.